Selby Realty, Inc., located in Ormond Beach, Florida, was founded in 1991 as a full-service commercial real estate brokerage firm serving Central Florida. The firm provides services to a wide range of clients including individual investors, lending institutions, major corporations, non-profit organizations, and government entities. Selby Realty has extensive experience in investment, retail, office, industrial, and land properties. The firm provides Property Management and Leasing to a wide array of clients and on its own account. 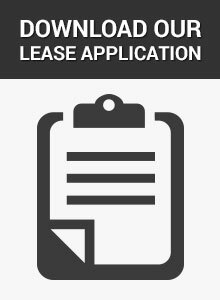 The Property Management and Leasing portfolio includes office, warehouse, industrial, and retail properties. Development Services offered by the company range from Construction Management to For-Profit Development. Excellent people are the key to the success of Selby Realty. Growth for the sake of growth has never been the objective. Only when presented with the opportunity to add a highly skilled and enthusiastic person who operates with the same high standard of integrity will the company expand. Quality people produce quality results, and that is why Selby Realty succeeds even in the face of extreme challenges. Over the years Selby Realty has developed expertise in several specialty niches, which include auctioneering and sealed bid sales (representing both buyers and sellers); the acquisition, disposition, and management of manufactured housing communities; and the sale and purchase of automobile dealership properties and large tracts of vacant land. Selby Realty has sold millions of dollars of real estate via the auction method of marketing. Selby Realty, Inc., through its entities and employees, supports the Greater Daytona Beach area by involvement in a variety of community outreach activities.